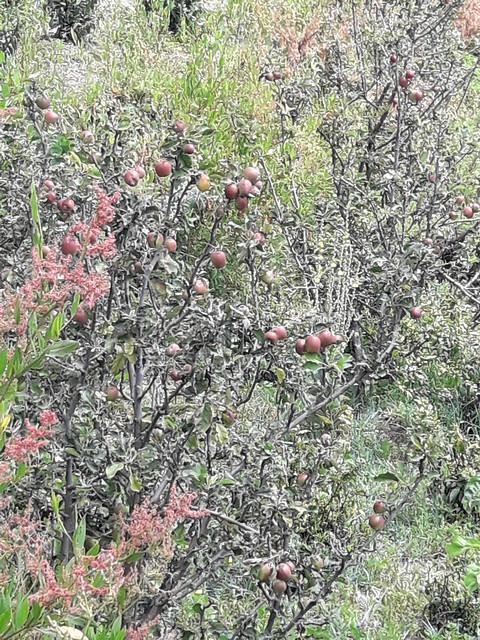 In the past few decades, apple farming in the Tigray highlands has expanded significantly since the introduction of apple trees to the region’s woredas by the Tigray Regional Office of Agriculture and non-governmental organizations. The fruit trees were introduced to diversify the nutrition and income sources of the smallholder farmers in the region. Some five years ago, some model farmers in the region were earning more than ETB 50,000 (USD 2,100) per annum from apple production. In recent years, however, apple diseases and pest infestation has hampered production. The spread of these diseases is partly associated with lack of knowledge and skill gaps in apple production among development agents (DAs), experts and farmers. Farmers associate the current apple disease with cochineal (a cactus pest) and some of them have started destroying their apple trees. For example, one farmer from Emba Alaje woreda in Atsela kebele destroyed 390 25-years old apple trees and many other farmers are no longer attending their apple trees. To address this problem, Africa RISING project in the Ethiopian highlands organized an apple farming training on 2 June 2017 that brought together program staff in affected woredas, representatives from Mekelle University (MU) and the Tigray Agricultural Research Institute (TARI) to review a report that assessed the severity of apple diseases in Tigray. Participants came up with an action plan for the control of apple diseases and pests and a scaling-out strategies for these measures. Providing training for DAs and experts were identified as a key activity to narrow down the knowledge and skills gaps in apple management and disease control. Further more, to address the skill gap and increase partners’ capacity in apple production, Africa RISING mobilized local partners and organized a two-day apple and mango production training for DAs, experts and researchers in Maichew town. The Agricultural Transformation Agency (ATA) covered the participation costs, while MU and TARI provided the training. 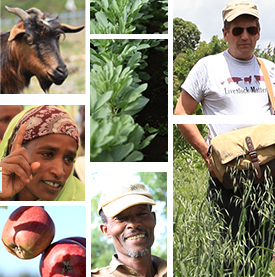 Three experts from the southern zone, 2 high-value fruit tree agronomic and protection experts, 5 researchers and irrigation development agents from 34 kebeles were in attendance. These trainees were from the southern and southeastern zones of Tigray where apple and mango fruits are produced . The training offered practical and theoretical knowledge on apple and mango orchard management, disease and pest management practices and is expected to boost production of both fruits and increase smallholder farmers’ incomes in the region. Tags: AfricaRISING, apples, mango, training. Bookmark the permalink.